The American Metalcraft ASC58 scoop’s 58-ounce capacity is ideal for scooping small items like coffee beans, chocolate chips, or sprinkles. 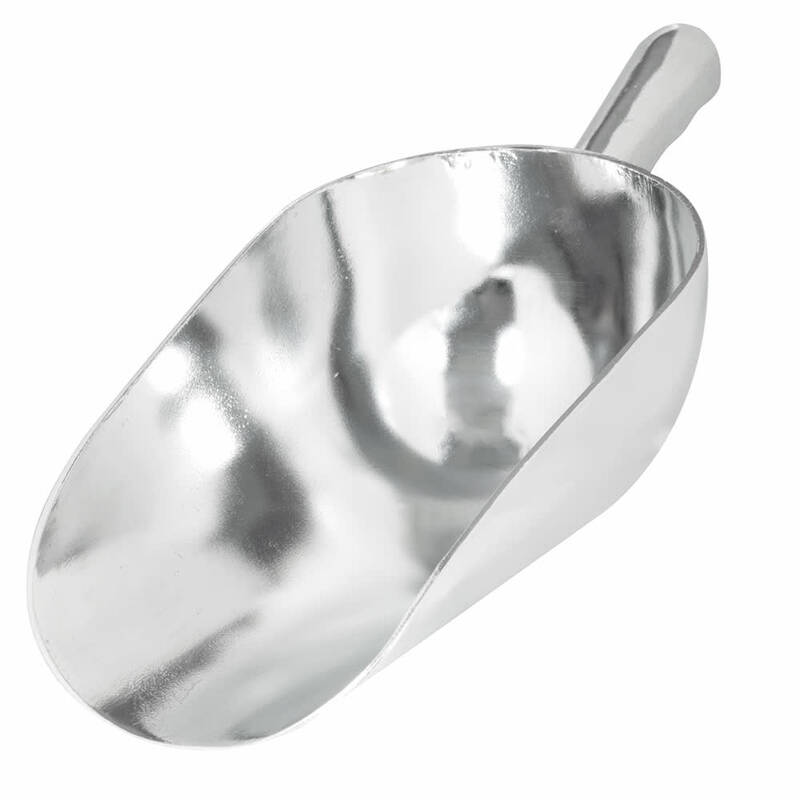 Constructed of heavy-duty cast aluminum, this scoop resists dents and scratches and its bright finish provides a clean appearance. Indentions on the handle help the user grip the scoop securely. Bowl dimensions: 51⁄2 in. x 10 in.